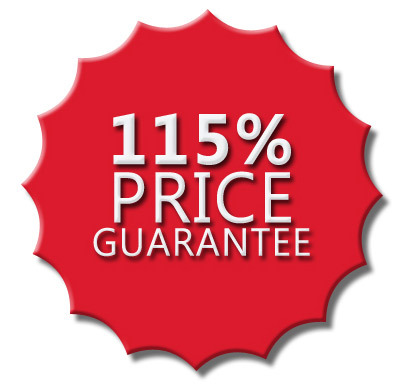 we will match the price - plus an extra 15% off the difference! Simply provide the competitor's price information in the comment section in the checkout page. Applies to the same style by the same designer. Items must be available and in stock. Competitor must be an authorized retailer and a U.S. based website. Not valid with other promotions, coupons, discounts. Does not include restyled, refurbished, used or counterfeit products. Not available on store/site coupons, promo or special offers. Does not include items sold on eBay, Amazon, or other auction sites. Does not apply to costume wigs or hair care products. Price matched items are final sales. Request must be submitted within ten (10) days from the date of purchase. Price Match not eligible on all brands.